Upgrades - Audi Music Interface, Audi Parking System Plus, Heated Front Seats, Technology Package, Four wheel-drive, Standard Features - Advanced Key, Automatic Dimming Rear View Mirror, Bang & Olufsen Sound System, Comfort Pack, Inlays in Carbon Atlas, Pearl Effect Colour, Alarm, Alloy Wheels (19in), Climate Control, Computer (Driver Information System), Electric Windows (Front), In Car Entertainment (Radio/CD/MP3), Parking Aid (Rear), Rain Sensor, Seats Electric. 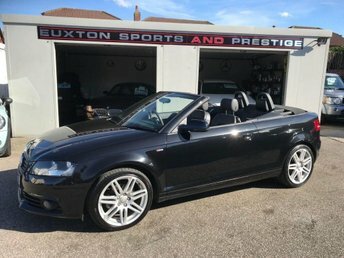 4 seats, £6000 OF EXTRAS + SATELLITE NAVIGATION + AUDI MUSIC INTERFACE + ELECTRIC HEATED FOLDING MIRRORS + HEATED ELECTRIC MEMORY SEATS + BLUETOOTH + CRUISE CONTROL + BANG AND OLUFSEN SOUND SYSTEM + COMFORT PACKAGE + TECHNOLOGY PACK + ABT STYLING KIT AND WHEELS + 4 X PIRELLI TYRES + 2 X KEYS. 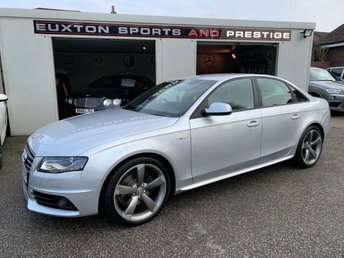 , £6000 OF EXTRAS + SATELLITE NAVIGATION + AUDI MUSIC INTERFACE + ELECTRIC HEATED FOLDING MIRRORS + HEATED ELECTRIC MEMORY SEATS + BLUETOOTH + CRUISE CONTROL + BANG AND OLUFSEN SOUND SYSTEM + COMFORT PACKAGE + TECHNOLOGY PACK + ABT STYLING KIT AND WHEELS + 4 X PIRELLI TYRES + 2 X KEYS.